The results weren’t pretty: More than half of students surveyed said they lack reliable access to healthy food, and one in five reported experiencing homelessness. Goldrick-Rab, who describes herself as a “scholar activist,” has been trying to get policymakers to address the cost of college for years, advocating policy proposals from free community college to one-stop benefits for low-income students. 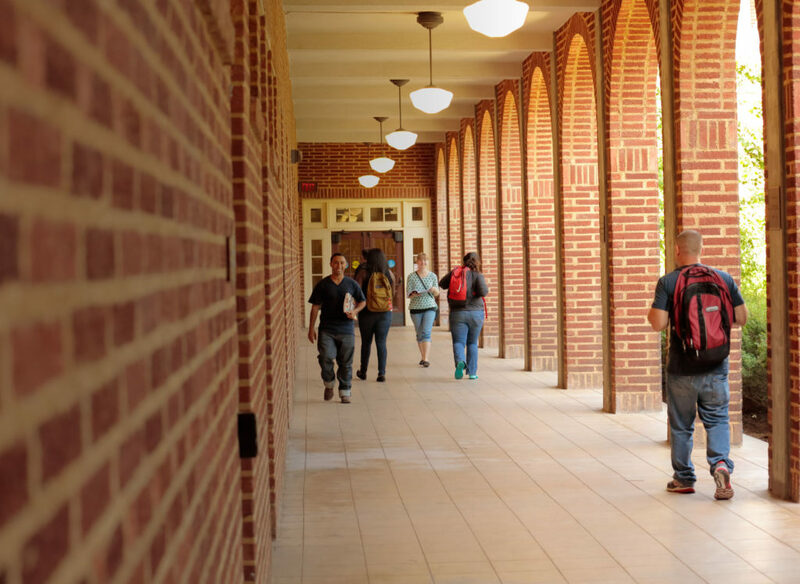 Her focus on students’ unmet basic needs has popularized the hashtag #RealCollege, and she has set up a research institute to study the problem. Earlier this month, she and her colleagues at the Hope Center for College, Community and Justice released the largest study to date of food and housing insecurity among California’s community college students, surveying 40,000 students on 57 campuses. The results weren’t pretty: More than half of students surveyed said they lack reliable access to healthy food, and one in five reported experiencing homelessness. Students at the University of California and California State University are also going without steady food and shelter, previous reports have found — though at slightly lower rates. The studies have helped inspire a raft of bills in the state legislature aimed at addressing students’ basic needs, from dramatically expanding the financial aid available to community college students to providing housing subsidies and keeping campus parking lots open late for those who live in their cars. 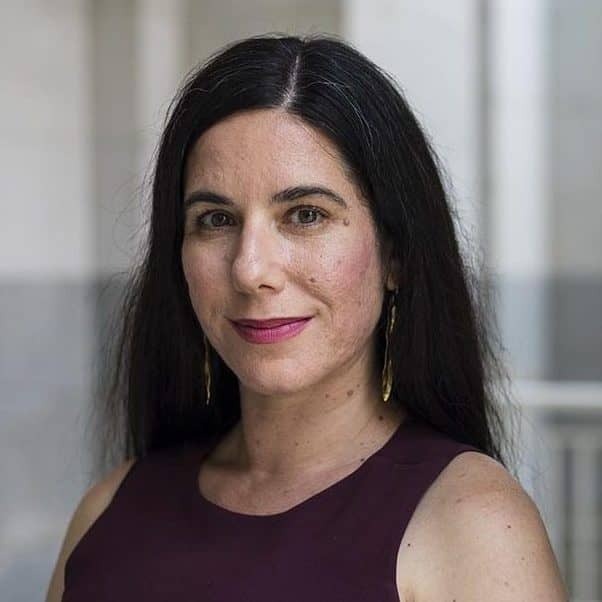 Goldrick-Rab recently spoke with CALmatters about which of the findings in the community college survey surprised her most, which financial aid practices she believes actually contribute to student poverty, and what California can learn from other states. What Does This Study Tell Us About Homelessness and Food Insecurity Among California Students That We Didn’t Already Know? You had a bit of info from the UCs before, you have the CSU and in 2016 we did a Los Angeles survey [of community college students]. Los Angeles, people might think is going to be worse than the rest of the state in terms of things like homelessness. But the numbers do show that in fact it’s all over the state. If you look at the regional variation, LA’s not even the worst. The rate of homelessness among former foster youth here is the highest we’ve seen by a long shot. It was in the 40s — usually it’s in the 20s. I certainly think the number of African Americans was on the high end. But the fact is, it cuts across all ethnic lines—you see it for citizens and students who said they were not citizens. It is everybody. How Does This Affect Students’ Graduation Rates and Future Success in Life? It’s certainly correlated with much lower rates of success. They have lower grades. The narrative of “These students just need to get a job” is not supported by the empirical evidence in this report. The homeless students, about 90 percent of them are working or trying to find work. We’re testing in a whole series of studies what happens when students have access to housing. So we’re going to be able to tell you more, I hope, by the end of the year about a causal effect. Is there a way to make this better? These are the students that faculty say they feel like they’re losing in class. My hope is, if I’m teaching at a community college and my students are asleep in my classroom, I stop assuming they’re not interested. And I start asking, maybe there’s something we need to deal with. The narrative of “These students just need to get a job” is not supported by the empirical evidence in this report. The homeless students, about 90 percent of them are working or trying to find work. And they’re more likely to be working 30 hours-plus a week compared to other students. They’ve got jobs. It’s just not enough. What Are Other States Doing That California Can Learn From? The other thing we’re starting to see happen, and it’s happening a little bit in Texas, is having better conversations with the private sector. Would it be possible for the state to create some bigger cash incentives for landlords of off-campus housing who have vacancies to use those vacancies to house students? What if the landlord who owns an apartment building near Compton College, that has regular vacancies, makes a deal where Compton pays him a reduced rate? Maybe they pay him 25 percent of the normal rate, but at least there’s not a vacancy. But again, this is an impossible situation. Even if the [California Community Colleges] chancellor is successful in his quest to increase financial aid, housing’s just so expensive. Which of Your Findings in This Latest Study Surprised You the Most? My biggest surprise was the low rate of usage of [the state’s food-stamp program] Cal Fresh. California Community Colleges were supposed to be so inexpensive that you didn’t use federal financial aid for this purpose, that you waited and used it for the university level. It’s possible that part of what we’re seeing is community colleges enrolling a significant number of undocumented students who may be very frightened to sign up for benefits at this time. To see only 22 percent of food-insecure students signed up for Cal Fresh, that’s money left on the table. There’s also an enormous number of students not getting [federal] Pell Grants. I suspect they’re being told to save it for later. California Community Colleges were supposed to be so inexpensive that you didn’t use federal financial aid for this purpose, that you waited and used it for the university level. That’s been part of California’s culture for a very long time. The problem is that students are hungry now. They’re homeless now. And they’re not going to be transferring due to those conditions. The first thing that should be applied is federal dollars, and then the state dollars. Right now California’s spending more money than it has to. If Tomorrow I Waved a Magic Wand and Put You in Charge of California’s Financial Aid System, What Are the First Three Things You Would Do? I’d want to make sure students were using every federal dollar available so I could save my state dollars to provide more for living expenses. I would open up a very serious conversation about, given the situation in the public sector colleges here, whether state financial aid dollars should be going to private institutions. We don’t seem to have the money to do right by the publics. And I would want to make sure we were working on a state free lunch program for college students. That’s a big one. I think you could strike a deal between agriculture and education where agriculture wins from having some subsidies and the food goes to the community colleges.